It may surprise you to know that even if you have dental cover, most general and major dental insurance policies do not cover dental implant procedures. And for many people this can pose a challenge, because the account for dental implants could cost in the thousands of dollars. Most dental plans fall into two categories. The first is general or basic dental insurance and this is structured to cover preventative dental care. Its benefits would cover check-ups with your dentist, minor fillings and professional cleaning. The major dental policies cover emergency treatments, restorations, dentures, bridges, major fillings, root canal therapy and crowns. Major dental cover usually does not include dental implants but would cover orthodontic and endodontic treatments. Why are dental implants excluded from dental cover? Many dental insurance providers classify dental implants as cosmetic procedures. This is not strictly accurate though because one of the biggest reasons that dental implants outperform dentures is because of their ability to add stability and support to the jawbone, and provide a structure for the shape of your face. What if my policy does cover dental implants? If you have a higher tier policy it is possible that some of the procedure might be covered but you should check if there are any exclusions or exceptions to the cover before proceeding with treatment. Some out of pocket expenses may apply so it’s best to check on this too. If your dental plan doesn’t cover implants, do not feel compelled to go for another treatment option because it’s cheaper. If you are a suitable candidate for implants they can be a more cost effective solution over the long term. If you do need implants, start where you are and check the fine print of your current policy benefits. Speak to your provider and discuss the option of upgrading your current plan. What would the additional cost be and what waiting periods would apply. Knowing about the waiting periods is important because you do not want to delay treatment. Ask your dental practitioner for advice. You are not the first patient who has needed implants and your dentist may be able to offer you some valuable advice about dental plans. Reach out to the providers using the pricing structure and benefits you received from your current dental insurer. 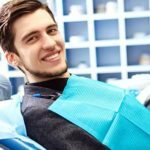 How do I choose the best dental plans for my needs? Your ideal dental policy is dependant on a number of factors like your age, whether you have a family, what the status of your current dental health is, and what you can afford to pay. When you are comparing cover look at aspects like the waiting periods, which range from two months for basic dental services to 12 months for major dental services. Consider what the out-of-pocket expenses could be, and what the annual limits will be set at. 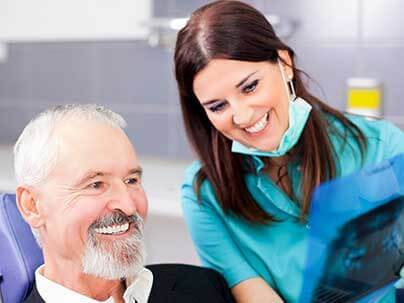 Investing in dental implants is a long term investment that will pay off in the years to come. To find out more about your options or what you can expect to pay for implant treatment, contact our team today. When Are Dental Implants Better Than Dentures? What Kind Of Results Can You Expect With Teeth Whitening? Dental Checkup and Cleaning Cost – What Price Do You Put On Good Dental Health? 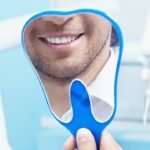 How To Clean Invisalign Braces – 3 important Factors You Should Know!